The Vizio E291i-A1 is a budget option for those looking for smaller TVs. It doesn't have full HD resolution or 120Hz processing. That's okay for a TV this size. What it does have is the Razor design that gives it a slim profile and thin bezels. That updates the appearance to make it an attractive TV for the kitchen or bedroom. The inclusion of the Vizio Internet Apps is the only difference between the two model numbers. The E291 does not feature internet connectivity. Both are 720p with a 60Hz refresh rate. There is a small difference in the prices to reflect the internet features on the E291i. 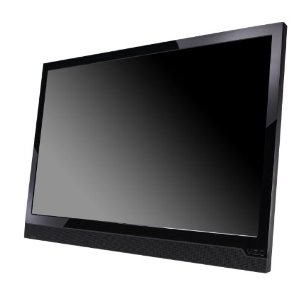 The E291i-A2 uses the Razor LED backlighting system to create a bright and clear 720p picture. It may not be full 1080p HD resolution, but it is going the be very hard to tell the difference on a 29 inch screen. If you want this to be a computer monitor, that's where you will see a loss in performance due to the 720p resolution. The 60Hz refresh rate is another thing not to worry about. Once again, motion blur is going to be hard to spot on a TV of this size. This TV has a dynamic contrast ratio of 200,000:1 and 16.7 million colors to make for great picture reproduction. Vizio shedded the local dimming feature on this model of the E-series.